Evolution Medical Products, Inc. was founded on the premise that hospitals and medical centers could benefit from a well designed, simple, pro-active medical cord storage and retrieval system. 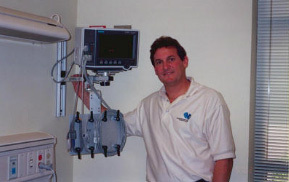 In 1998, Evolution Medical Products, Inc. developed the Cord Caddy; a unique product with hospital-wide applications. 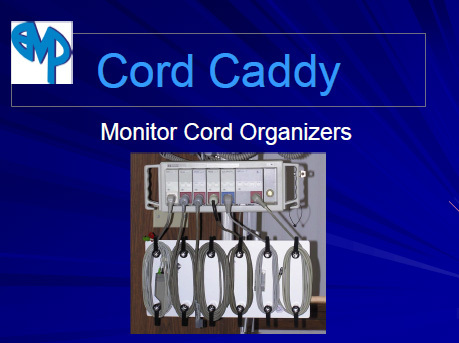 The Cord Caddy makes Spaghetti Syndrome one less hassle in the workplace. When our concept and development team heard the complaints from clinical personnel, namely..."How can we manage our cords?" Our first indication that we had created a much needed, long awaited product came during our initial research when several nurses surveyed exclaimed, "Why didn't I think of that?" Evolution Medical Products will continuously strive to exceed our customer's expectations with well-made, high quality products that can be customized to their specific requirements. Additionally, we will constantly accept the challenge to maintain customer satisfaction at the highest level possible and will continue to explore and develop related products that make life a little easier for the health care workers to whom we all owe a large token of gratitude.